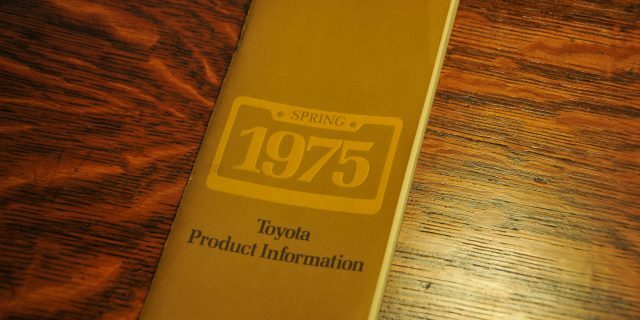 We came across this vintage Toyota salesman handbook and just had to share it with you! Below are scans of the first few pages and all pages related to the 1975 Half-Ton Pickup (FJ45) and Land Cruiser (FJ40). At the bottom of the page, we’ve typed out all the info for your convenience. Enjoy! This Toyota product information booklet describes Toyota vehicle specifications and dealer installed accessories as well as standard features. These facts will enable you, the salesperson, to better discuss the merits of the Toyota model line as they relate to customer needs. The booklet is designed as a pocket-size manual and should be used for quick reference when answering specific product questions from the customer. Toyota offers excellent warranty coverage on it’s 1975 vehicles. The basic vehicle warranty is been extended and now covers 12 months of 12,500 miles. The first 90 days, all adjustments will be made at no cost to the customer. The emission control system warranty is good for five years or 50,000 miles. The tire warranty provides for coverage through the life of the original tread (now longer than ever with radial ply tires standard). 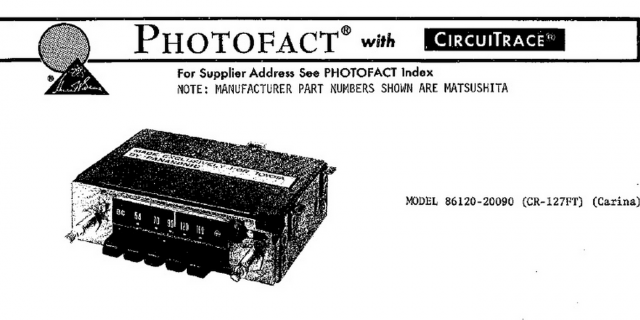 The specific details are in the warranty materials themselves. You must understand and explain them, and present the plastic owner identification card, to every new vehicle owner. Make sure the Toyota vehicle delivery record is filled out. The card is used register the vehicle for warranty with Toyota. Advise the new owner to keep the plastic card and warranty folder handy in the glove compartment so his record of service can be on page 50kept up-to-date. These steps are all part of the good delivery technique you use to help bring a satisfied customer back when he needs his next new car. This is an economical, durable, car-like half-ton truck that has expanded into a line of small trucks–with the standard bed, long bed, and the SR-5 sport truck. All have superior features that make them perfect for multiple personal use–for daily transportation, recreation, and hard work business activity. They feature maneuverability, interior comfort, fuel economy, low operating cost, and optional conveniences–in addition to the typical long list of Toyota standard equipment.